On the astrology of coffee, cafés, dealers and plantations. in search of the corresponding signs. Astrology, Lifestyle, Drugs, Food and Cultural Hstory: tracking the astrogeographical positions of coffee houses and other important places related to coffee. Read a chronology of the history of coffee. 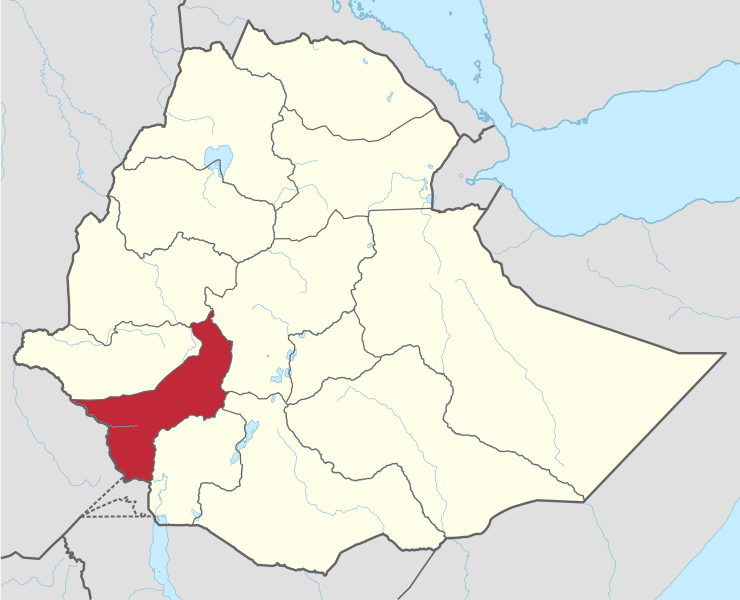 Kaffa (ormer Kingdom of Kaffa) was the name of a former province in the Abyssinian Highlands of Southern Ethiopia. A very fertile region, capable of three harvests per year. Its capital city Jimma is located at 1700 m altitude. The etymology of Kaffa is thought to be from the Arabic qahwah meaning “a drink from berries”. The English word coffee is derived from the same root. Energetical qualities of the region of Kaffa for field level 1 (region): the astrogeographical longitude coordinate of the central areas of the region of Kaffa region stretches between dynamic fire sign Aries and agricultural earth sign Taurus. The astrogeographical longitude coordinate stretches from earth sign Virgo sign of protection of nature, gardening and harvests into air sign Libra sign of flowers. The port of Mocha in Yemen at the Bab al-Mandab (strait of Djibuti) at the south end of the red sea is the arabian bridge to Africa. This was the first important port where the worldwide spreading of coffee all started. Today the coffea arabica type of coffee plant which is endemic to the mountains of Yemen and Ethiopia makes 60 % of the world production in coffee. Energetical quality of Mocha for morphogenetic field level 2 which describes the topics the whole town: located inemotional water sign Cancer sign of coastlines, feeling at home and emotional individuality with magnetic, royal fire sign Leo sign of the sun, light, self-expression, Both signs may not be considered to represent direct astrological resonators of coffee. But what the combination might resonate with is the emotional identification with the drug and to some extent also the hype (Leo) that the town went through. The astrogeographical coordinates of the known places where a new aspect first appears give us a hint at the archetypal resonance of the new drug, invention, technology, culture or other phenomenon. The signs which appear most frequently at the known adresses of the first European coffee houses from the 17th century are fire signs Aries and Sagittarius and earth sign Taurus. Recapitulating exact adresses of places where the even older coffeehouse culture developed since the early 16th century in today`s Yemen, Syria, Saudi Arabia, Egypt and Turkey seems impossible. The first public coffee houses on the european continent were opened in the Tahtakale area of Istanbul during the reign of Süleyman the Magnificent (1520 – 66). The Sultan himself enjoyed the pleasure of drinking coffee even before the opening of public places in his Topkapi Palace Residence (energetical qualities: Libra with Gemini). 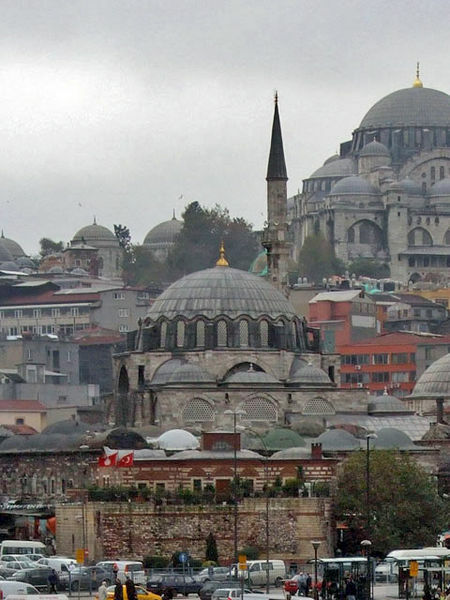 I have tried to spot the exact location of one of the first public coffee shops in today´s Istanbul but could not. So at least I present the positions for field level 3 (surrounding area) which describe the ancient bazar area where a number of coffee houses were opened during this earliest european era. Energetical qualities of the Tahtakale district of Istanbul for morphogenetic field level 3 (surrounding area): highly dynamic fire sign Aries sign of action, speed, alertness, ignition, motors, starting new projects, warriors, sports, unicellular beings, single persons and the head.with multicultural air sign Gemini sign of communication, newspapers, information, language, learning, intelligence, connecting people, bringing opposites together, games, competition, gossip, curiosity and the sign of new technologies and going new ways, . 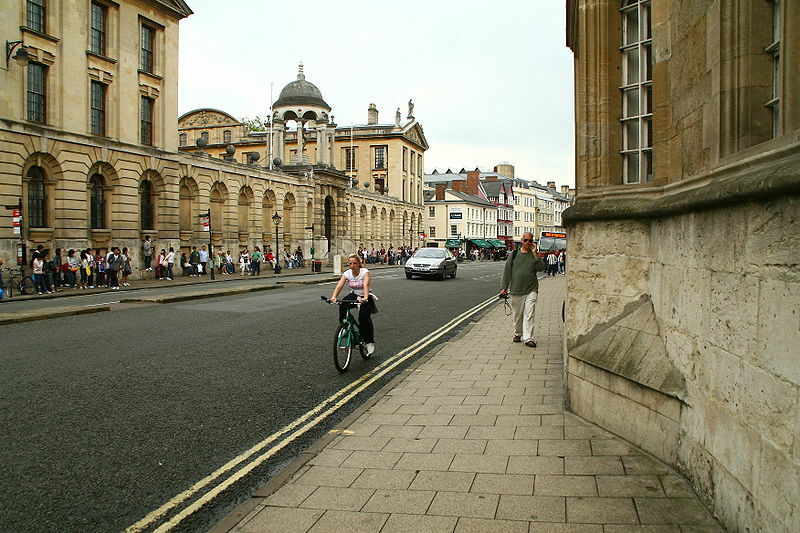 High Street in Oxford was home to the oldest coffee houses in England which opened right next to Queen´s College. This means that coffee first became important at a place in one of the epicenters in the history of modern science and scientific education..Since then the drug has served as a motor in the evolution of thinking and of science. High Street? Yes – coffee was taking people higher since the first coffee house was opened here by a Jewish man named Jacob at the address of today`s “Grand Cafe” at 84 High St..
Energetical qualities: highly dynamic fire sign Aries sign of action, speed, alertness, ignition, motors, starting new projects, warriors, sports, unicellular beings, single persons with earth sign Taurus sign of the earth, grounding, roots, profitability, market places, food, agriculture. Valid for morphogenetic field level 4 (exact adress). Queen´s Lane Coffe House is still running under the same name today making it a candidate for the oldest extant coffee house worldwide..
Energetical qualities: highly dynamic fire sign Aries sign of action, speed, alertness, ignition, motors, starting new projects, warriors, sports, unicellular beings, single persons . The 2nd coordinate is between Aries and earth sign Taurus sign of the earth, grounding, roots, profitability, market places, food, agriculture. Valid for morphogenetic field level 4 (exact adress). Energetical qualities: highly dynamic, mental fire sign Sagittarius sign of thinking, philosophy, understanding, euphoria, mental stimulation, the holy ghost, expansion, travelling, knowledge, shamanism, initiation and a plausible resonator a of the roasting process. the 2nd coordinate in earth sign Taurus sign of the earth, grounding, roots, profitability, market places, food, agriculture. Valid for morphogenetic field level 4 (exact adress). Café Procope the oldest extant coffee house in Paris is located in the same astrogeographical coordinates as the Jamaica Wine House in London. 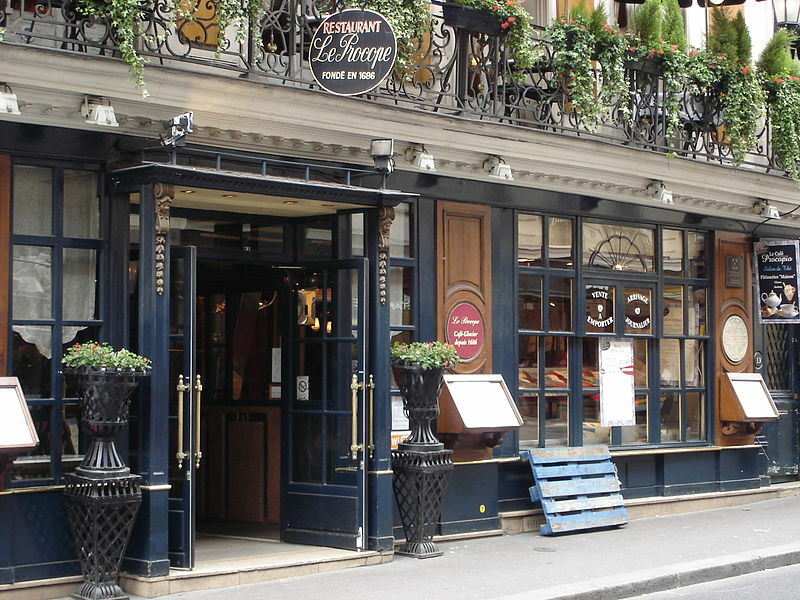 Café Procope. 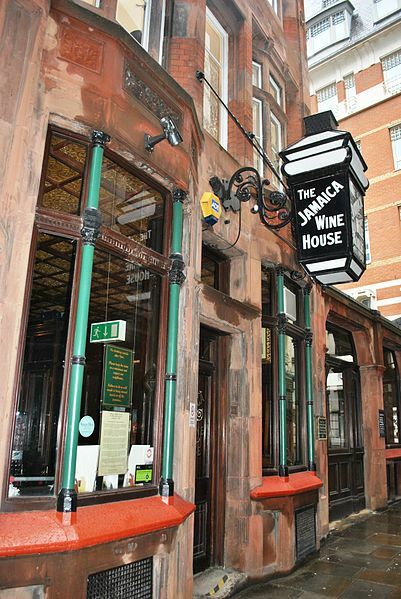 was opened in 1686 by an italian nobleman named Procopio dei Coltelli in the Quartier Latin area. The place is emblematic as a meeting point for politcal and philosophiocal debate in the era that preceded the french revolution. Energetical qualities: highly dynamic, mental fire sign Sagittarius sign of thinking, philosophy, understanding, euphoria, mental stimulation, the holy ghost, expansion, travelling, knowledge, shamanism, initiation and earth sign Taurus sign of the earth, grounding, roots, profitability, market places, food, agriculture. Valid for morphogenetic field level 4 (exact adress). As an astrological factor Sagittarius promotes such ideals as political liberalism, understanding before believing, intellectual inspiration and the joys of cultivating knowledge and wisdom. Vienna´s first coffeehouse was registered on 17 January 1885 and with Uranus as indicator of innovations just having arrived in Taurus the sign of agriculture, food, profits and markets. Venus as sign ruler of Taurus was in Sagittarius a sign that may be related to the expansion of markets, the stimulation of euphoria and happiness by the drug and also to the roasting of coffee beans process. Energetical qualities of the adress at Rotenturmstrasse 14: air sign Gemini sign of communication, newspapers, information, learning, intelligence, connecting people, games, competition, gossip and earth sign Taurus sign of the earth, grounding, roots, profitability, market places, food, agriculture. Valid for morphogenetic field level 4 (exact adress). The combination of Gemini with Taurus directly relates to trading coffee as the major purpose of the little place which for a start was run inside the owner´s home. 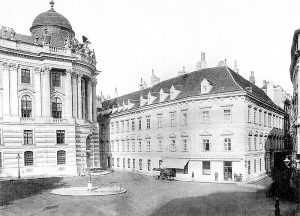 An important meeting place of artists, intellectuals opened in 1847 was Cafe Griensteidl at Michaelerplatz right opposite the entrance of Hofburg Castle (building on the left) the empirial city residence of the House of Habsburg. Late 19th century photo. 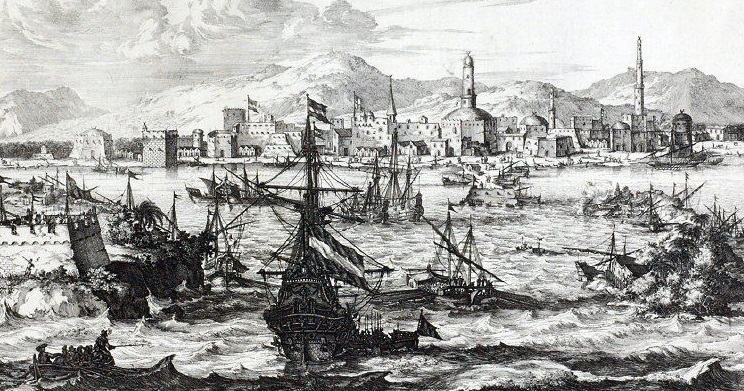 Venice was the most important trading harbour in Europe. No wonder that Western Europe`s first coffee house is supposed to have been opened in the city and on Piazza San Marco in 1645. I have not been able to verify its exact location but it may be identical with the positions of the still extant Caffè Florian here. The astrogeographical positions of Venice are 28°Gemini indicating its role as an interface between all European markets, Africa and Asia and 21°Pisces the sign of the the sea, sprituality, the otherworld, illusions, dreaming, far away cultures and of course the sea-ship routes. 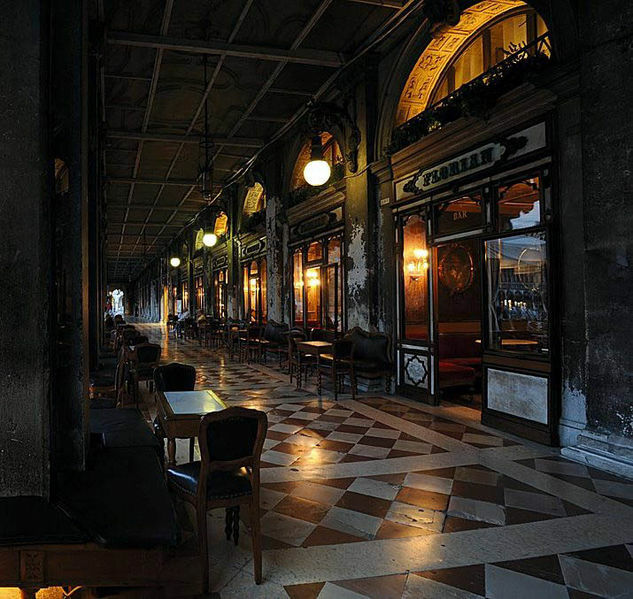 Caffè Florian on Piazza San Marco, Venice founded in 1720 is the oldest extant coffehouse in Italy. And again it´s the fire signs Aries and Sagittarius that show up. They . Energetical qualities: Caffè Florian lies in two fire signs resonators of the stimulating effects that coffee has on the human system: highly dynamic, mental fire sign Sagittarius sign of thinking, philosophy, understanding, euphoria, mental stimulation, the holy ghost, expansion, travelling, knowledge, shamanism, initiation in combination with highly dynamic fire sign Aries sign of action, speed, alertness, ignition, motors, starting new projects, warriors, sports, unicellular beings, single persons . Valid for morphogenetic field level 4 (exact adress). 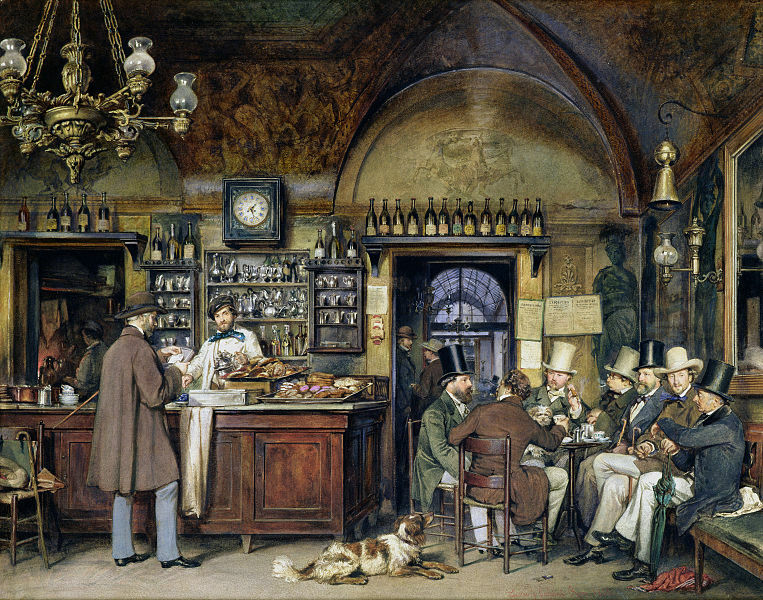 Antico Caffe Greco the oldest extant cafe and bar in Rome, painting bei Ludwig Passini in 1856. The cafe and bar is located in Pisces with Virgo – both signs do not relate to coffee itself. Energetical qualities: located in mystic, spiritual water sign Pisces sign of dreaming, music, art, entertainment, letting go,and the most important resonator for italian culture. Pisces may be a hint that alcohol was as common as was coffee at the place. The 2nd coordinate lies in earth sign Virgo sign of reason, saving money, herbal medecin and the strife for mental control over emotions. Both signs do not relate to coffee directly. Pisces appears as a place for relaxing, Virgo stands for attempting optimal use of economic ressources. Valid for morphogenetic field level 4 (exact adress). Dutch coffee plantation on Java. 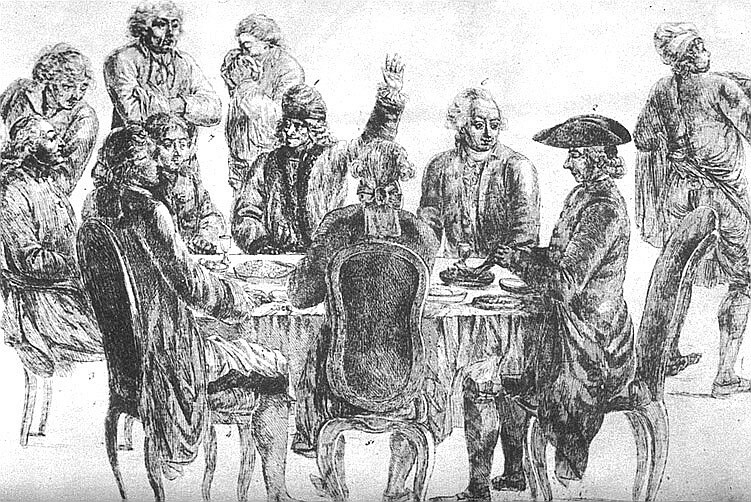 The Dutch East India Company played an important role in the golbalization of coffee. They were the first to cultivate coffea arabica plants brought to Java here from Mocha, in Yemen around the year 1700. 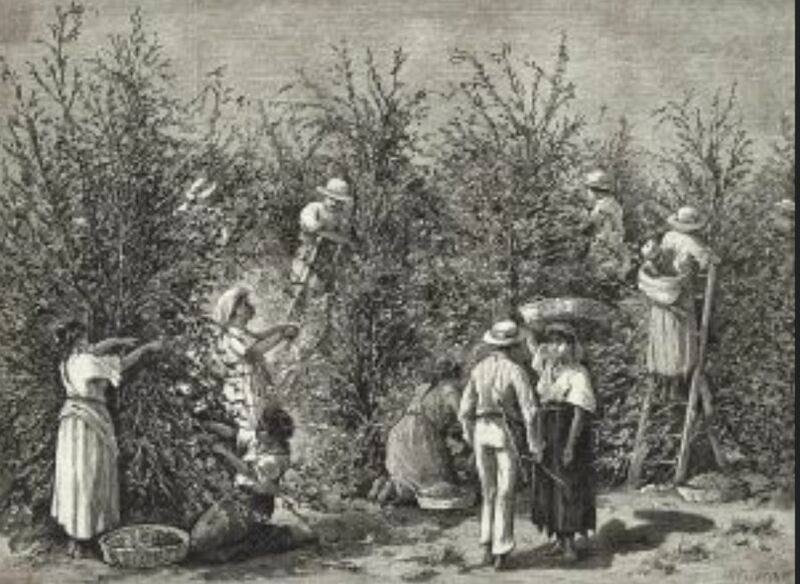 The Netherland`s merchants were strongly involved in early global trade and able to import tea, coffee, tobacco and spices in the earliest stage of colonialism. 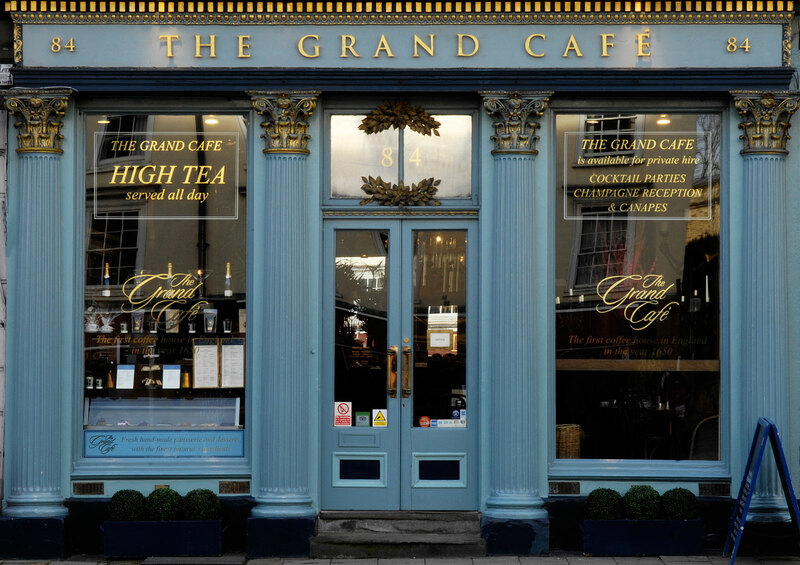 Coffee first arrived here in 1616. And it was the dutch East India Trading company that transferred the large scale coffee cultivation from Yemen and Ethiopia to Java and East Asia. 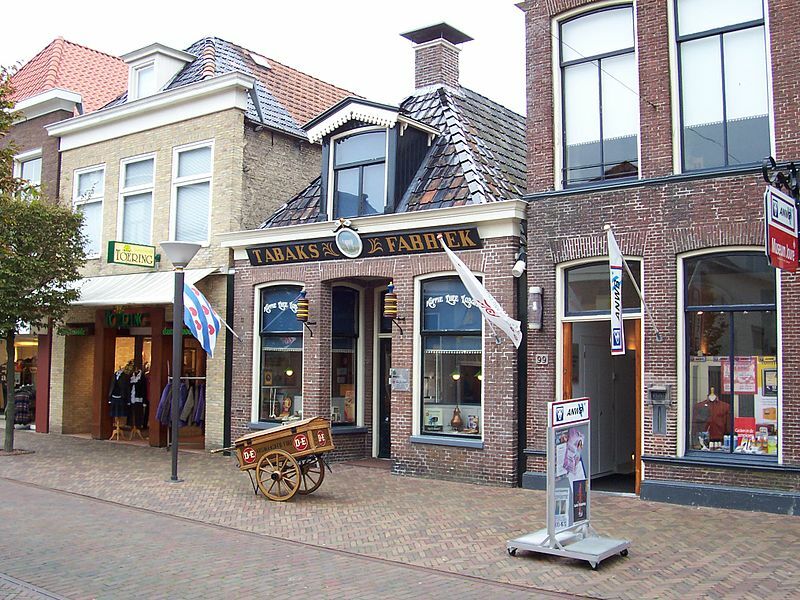 The first coffee houses in the Netherlands are said to have been opened in 1663 in the street Korte Voorhout in The Hague and in Amsterdam. Energetical qualities of the short but very old street of Korten Voorhout in The Hague (exact location of the former coffee house not clear): the road stretches from solid fixed water sign Scorpio sign of containers, fortresses, trauma, chemistry and visual perception on the west half into highly dynamic, mental fire sign Sagittarius sign of thinking, philosophy, understanding, euphoria, mental stimulation, the holy ghost, expansion, travelling, knowledge, shamanism, initiation on the east half of the street. The second coordinate lies in highly dynamic fire sign Aries sign of action, speed, alertness, ignition, motors, starting new projects, warriors, sports, unicellular beings, single persons . Valid for morphogenetic field level 4 (exact adress). 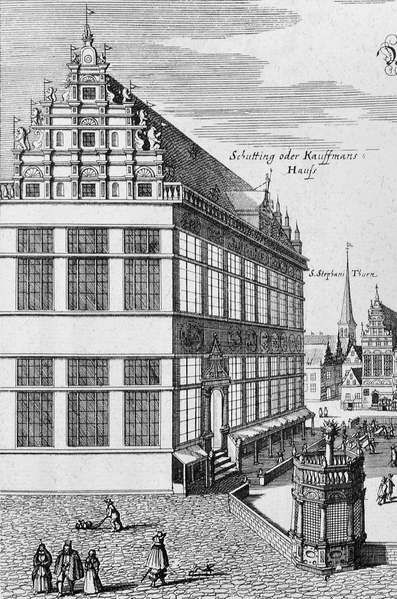 Germany`s first coffee house was opened in 1673 inside of the house of the influential merchant guild of the City of Bremen. 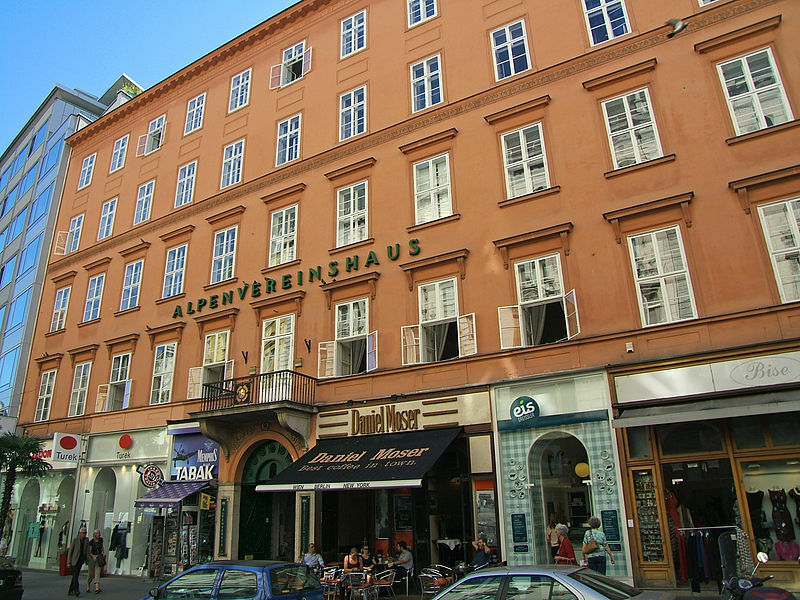 The building is named Schütting. Energetical qualities: the building is located in the combination of highly dynamic, mental fire sign Sagittarius sign of thinking, philosophy, understanding, euphoria, mental stimulation, the holy ghost, expansion, travelling, knowledge, shamanism, initiation and of the roasting coffee beans process with emotional water sign Cancer sign of the moon, emotional individuality and feeling at home, Valid for morphogenetic field level 4 (exact adress). Topics: emotional stimulation through mental activity, coziness of feeling good at home. 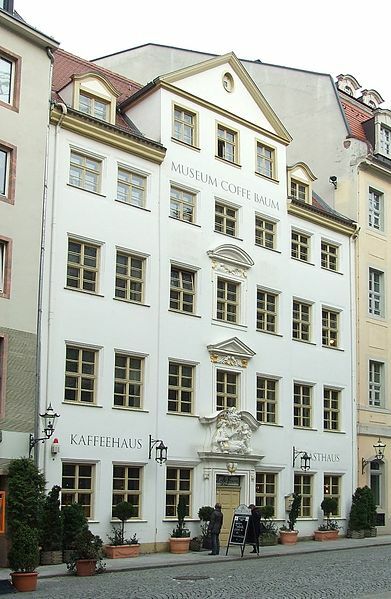 The oldest extant coffee house in Germany is named “Coffe Baum” (coffe tree) opened in 1711. It is located in the city of Leipzig – an important univiersity city, intellectual center and center of publishing houses. Energetical qualities: the building is located in the combination of highly dynamic, mental fire sign Sagittarius sign of thinking, philosophy, understanding, euphoria, mental stimulation, the holy ghost, expansion, travelling, knowledge, shamanism, initiation and of the roasting coffee beans process with service orientated air sign Libra sign of harmony, balance, symmetry (facade) decoration, openness, stage presentation, meeting people, relationship, love. “According to some, the first Kafana in Belgrade opened sometime after 1738, when the Ottomans recaptured the city from the Austrians. Its name was Crni orao (Black Eagle) and it was located in Dorćol neighbourhood, at the intersection of today’s Kralja Petra and Dušanova streets. Its patrons were only served Turkish black coffee poured from silver ibrik into a fildžan as well as nargile” from the wiki article. Energetical qualities of the former “Black Eagle” in Belgrade for morphogenetic field level 4 (exact adress) : highly energetic, magnetic, royal fire sign Leo sign of the sun, light, the heart, power stations, self-expression, emotional intensity, passion and service orientated air sign Libra sign of harmony, balance, symmetry (facade) decoration, openness, stage presentation, meeting people, relationship, love. 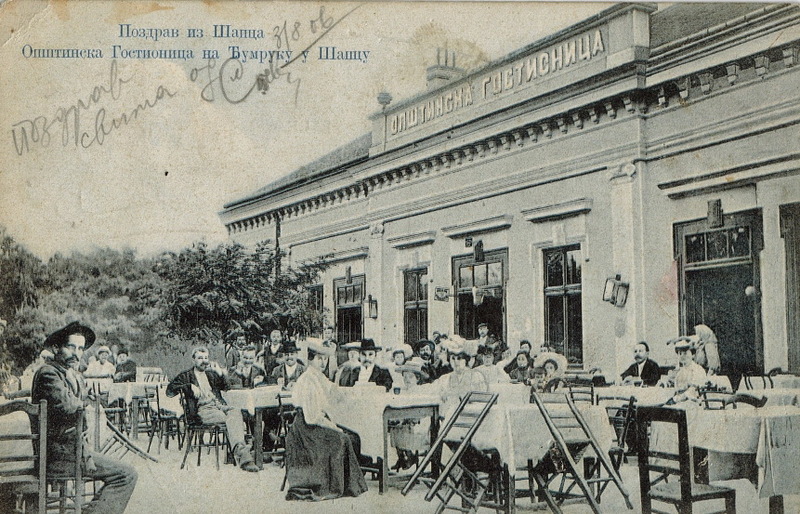 Wether the “Black Eagle” was actually the first coffee house in Belgrade is doubtful – as the astrogeographical positions rather point at topics of a place dedicated to entertainment missing the typical asepcts of the 1st generation coffee houses in Europe. I found speculations that the earliest coffee houses in the USA may have been founded in Philadelphia in the 2nd half of the 18th century. But earlier institutions are by no means improbable. 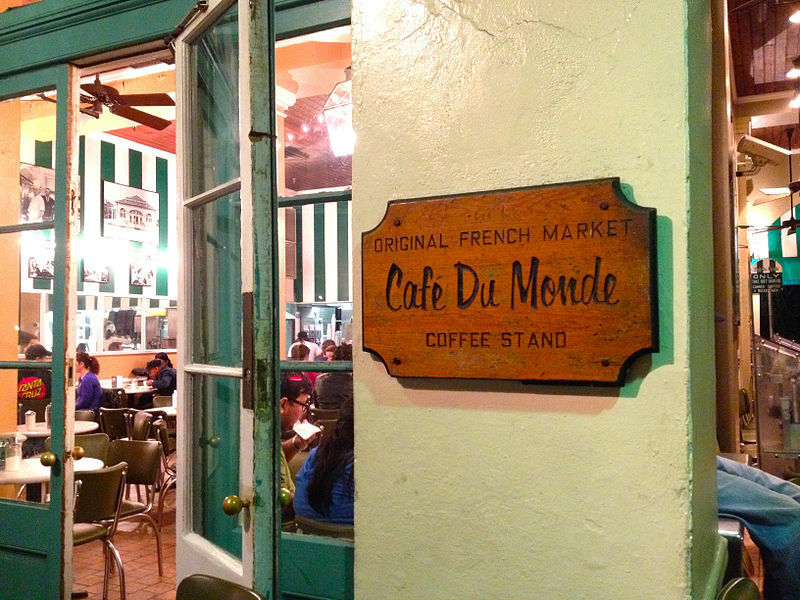 Café du Monde in New Orleans founded in 1862 is named as the oldest extant coffee house in the USA. Energetical qualities: creative, innovative air sign Aquarius sign of the sky, heaven, paradise, inspiration, self finding, going new ways and earth sign Virgo sign of reason, health, self-protection, herbs, sense of smell, self.cleaning, medecine and soberness. Valid for morphogenetic field level 4 (exact adress). 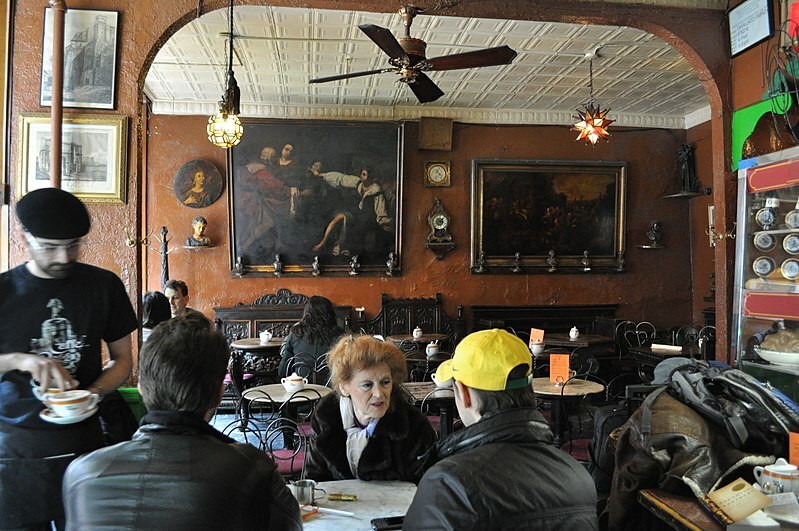 The constellation for the cafe itself does not reflect the symtomatic signs od the 1st generation of coffee houses. But the combination of the central area of the French Quarter which for morphogentic field level 3 (surrounding area) does: it lies in Sagittarius maybe the most important resonator for the coffee drug together with Leo the sign of french culture. 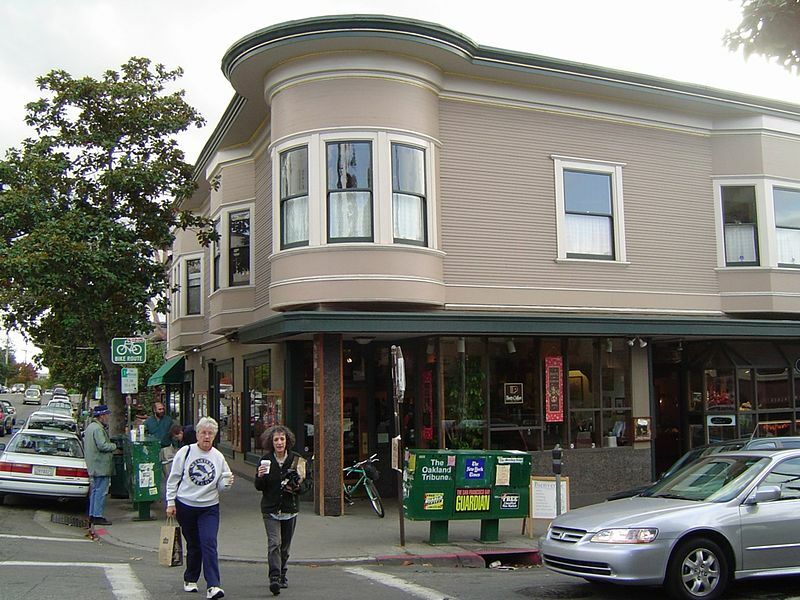 Peet’s Coffee is a San Francisco Bay Area-based specialty coffee roaster and retailer founded in 1966 by Alfred Peet (born 10 March 1920 in Alkmaar, Netherlands). Peet’s introduced the United States to its darker roasted Arabica coffee in blends including French Roast and grades appropriate for espresso drinks. Energetical qualities of Peets first store for morphogenetical field level 4 (exact location): the shop lies in highly energetic, magnetic, royal fire sign Leo sign of the sun, light, the heart, power stations, self-expression, emotional intensity and passion. The 2nd coordinate is in practical air sign Gemini sign technology, communication, newspapers, information, learning, education, intelligence, road crossings, signposts, symbols, going new ways and resonating factor of the technical innovations introduced along with the new store. 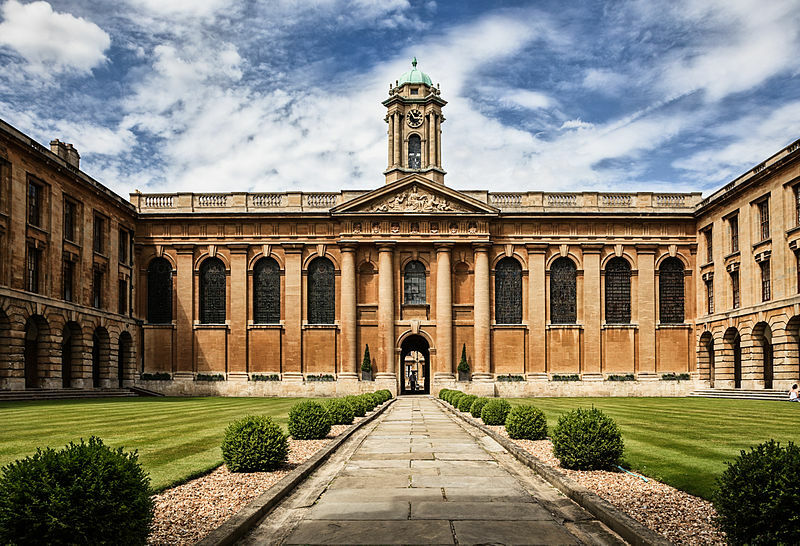 Gemini also resonates with the nearby campus of the University of Berkely. Energetical qualities of Peets headquarter in Emeryville, California for morphogenetical field level 4 (exact location): creative, innovative air sign Aquarius sign of the sky, heaven, paradise, ideals, globalisation, self-finding, emancipation, inventions, abstraction, holistic perspectives, alternative culture and the introduction of goods from far away countries. 2nd coordinate is in emotional water sign Cancer sign of the moon, motherhood, emotional individuality and feeling at home. Among the countries whose citizens drink most coffee in the world Scandinavians and other Northern Europeans are those that lead the statistics according to a Telegraph article published in 2017. Counter culture coffee founded in Durham, North Carolina in 1995 is a pioneer in focus on sustainability. 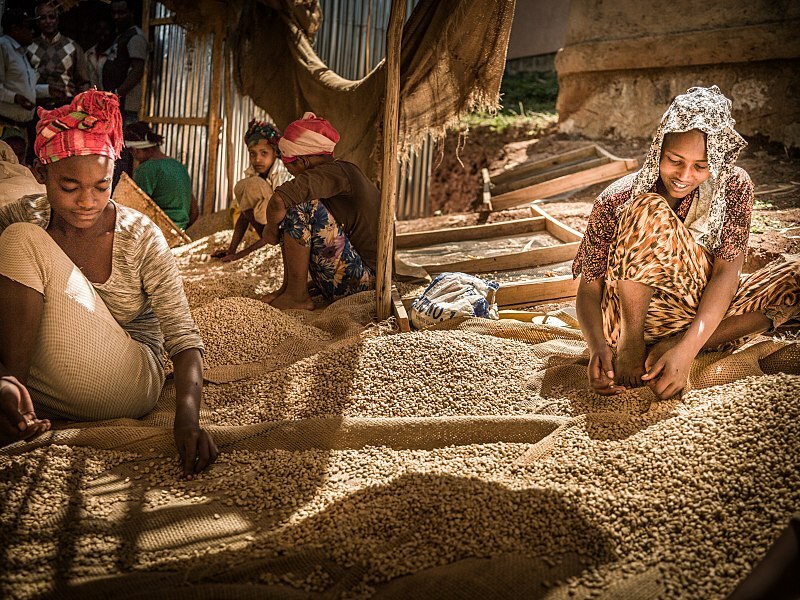 The company directly collaborates with artisans who grow the coffee and their partnership with farmers is a basis for their sustainable coffee model which involves working with progressive and environmentally sensitive farms in the trade. Teh company´s heaquarter is located ain Emeryville, California. Energetical qualities of the Counter Culture headquarters in Emeryville for morphogentic field level 4 (exact location): located in highly dynamic fire sign Aries sign of action, speed, alertness, ignition, motors, starting new projects, warriors, sports, unicellular beings, single persons and traditionally a resonator for the stimulating and mobilizing effects of coffee. 2nd coordinate in neutral, practical air sign Gemini sign technology, communication, newspapers, information, learning, education, intelligence, road crossings, signposts, symbols, going new ways and resonating factor of the technical innovations. 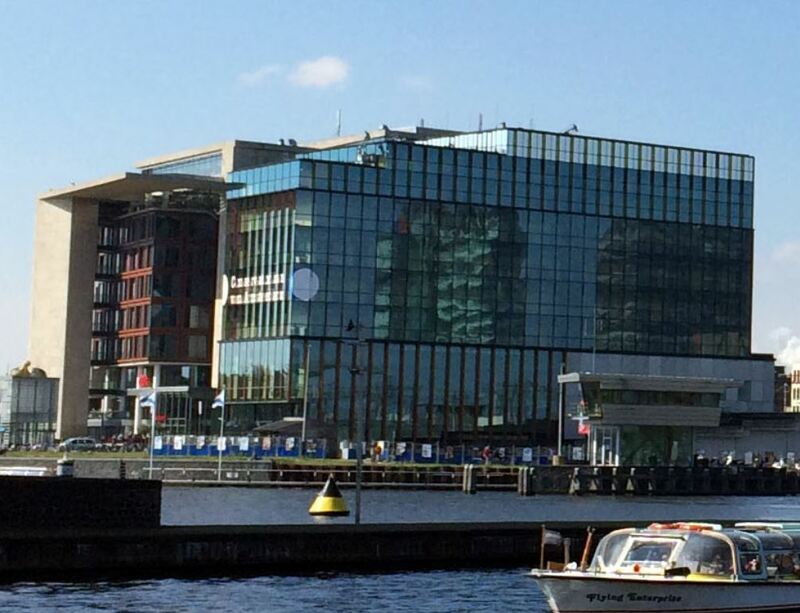 In some regards Gemini directly resonates with practical solutions in regard to ecology and sustainability and is also present at the site of the Green Peace International headquarters in Amsterdam. Starbucks is the by far largest coffee roaster and seller worldwide. Because of its role as a global player I am also providing the coorrdinates that define Starbuck´s global role. Astrogeographic position of Starbuck´s headquarter building in Seattle for morphogenetic field level 1 which describes the global, international topics of the Starbuck`s company: located on 27°Capricorn and exactly conjunct the position of the seat of the International Coffee organisation in London. 2nd coordinate on 2°Capricorn. 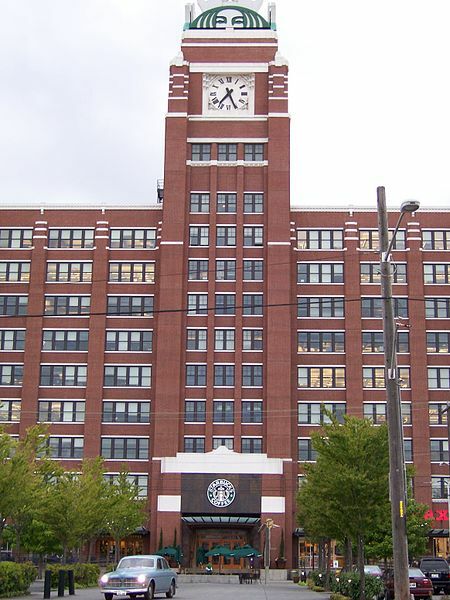 Energetical quality of Starbuck´s headquarter building in Seattle: dynamic, mental fire sign Sagittarius sign of thinking, philosophy, understanding, euphoria, mental stimulation, expansion, travelling, knowledge, shamanism, initiation and of the roasting coffee beans process. 2nd coordinate in earth sign Virgo sign of careful spending and strategical planning, optimal use of ressources, senses of taste and smell, herbal medicine, health and quality control. Energetical quality of Starbuck´s roasting plant in York, Pennsylvania: solid, fixed water sign Scorpio sign of alchemy, chemistry, steel, metal working, containers, transformation and air sign Libra sign of balance, openness,and indicator for hot air coffee roasting. Valid for field level 4 (surrounding area) which describes the atmosphere of the whole of the large building. Douwe Egberts has a long tradition of importing and distributing coffe, tea and tobacco and has been one of the largest companies on the European market. Energetical qualities of the original shop in Joure, NL the site of foundation of the Douwe Egberts company: located in the combination earth sign Taurus sign of the earth, grounding, roots, profitability, market places, food, agriculture, money, income with creative, innovative air sign Aquarius sign of the sky, heaven, paradise, globalisation, self-finding,inventions, abstraction and the introduction of goods from far away countries. Valid for morphogenetic field level 4 (exact adress). Energetical qualities of the headquarters of the Douwe Egberts company at Oosterdoksstraat 80,1011 DK Amsterdam: located in the combination of highly dynamic, mental fire sign Sagittarius sign of thinking, philosophy, understanding, euphoria, mental stimulation, the holy ghost, expansion, travelling, knowledge, shamanism, initiation and of the roasting coffee beans process with emotional water sign Cancer sign of the moon, emotional individuality, feeling at home, islands, coastlines, kais, Valid for morphogenetic field level 4 (exact adress). Topics: emotional stimulation through mental activity, coziness of feeling good at home. 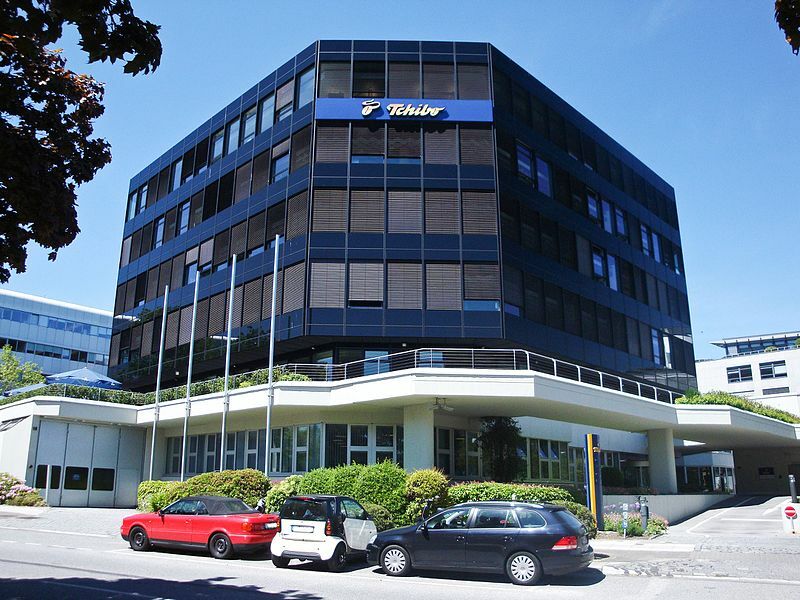 Tchibo is Germany´s largest coffee roaster and dealer. Energetical qualities of the Tchibo headquarters in Hamburg: earth sign Taurus sign of the earth, grounding, roots, agriculture, ,profits, money, markets and earth sign Virgo sign of careful spending and strategical planning, optimal use of ressources, senses of taste and smell, herbal medicine, health and quality control. Energetical quality of Tchibo´s largest roasting factory in Wendenstraße in Hamburg: air sign Gemini sign of technology, small winds, practical solutions and indicator for hot air coffee roasting. 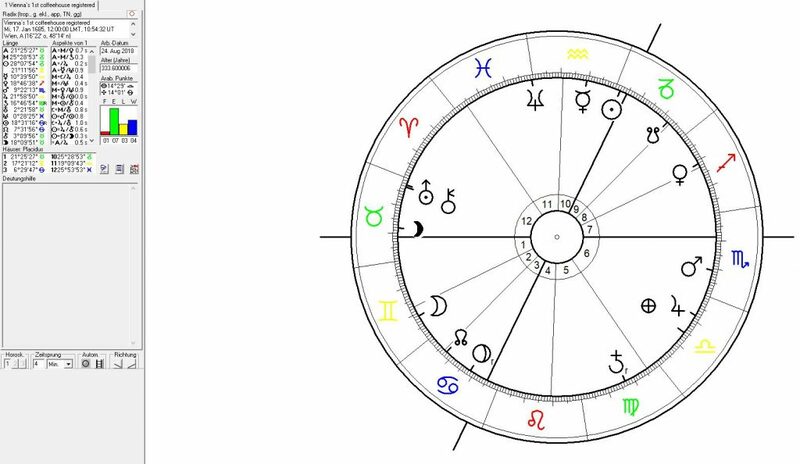 2nd coordinate in earth sign Taurus sign of the earth, grounding, roots, agriculture, ,profits, money, markets. Energetical qualities for morphogenetic field level 2 (city) which describes the energetical topics and atmosphere of the whole 2400 hectar plantation: the area is located in the combination of two air signs indicating the emphasis on flowering and the flowers and fruits, not the roots (earth signs) leaves (water) or stem (fire). One coordinate is in creative, innovative air sign Aquarius sign of the sky, heaven, paradise, new technologies, globalization and indicator for a radical change of the use of the land. 2nd coordinate is in service orientated air sign Libra sign of harmony, balance, beauty. Libra resonates with the symmetrical arrangement of the plantation. Energetical qualities for morphogenetic field level 2 (city) which describes the energetical topics and atmosphere of the whole plantation: the plantation is located in earth sign Virgo sign of gardening, parks, protection of nature, herbs, plants, harvests, science of agriculture, optimal use of ressources, sense of smell and air sign Gemini sign of technology, information,small winds and a factor that supports pollination. Energetical qualities for morphogenetic field level 4: centralistic, emotional, royal fire sign Leo sign of the sun, light, self- esteem, self-expression, gold and cereful earth sign Virgo sign of harvests, storing goods, strategical planning, sense of smell and taste, mherbal medecine, health and optimal use of ressources. Valid for morphogenetic field level 4 (exact adress).